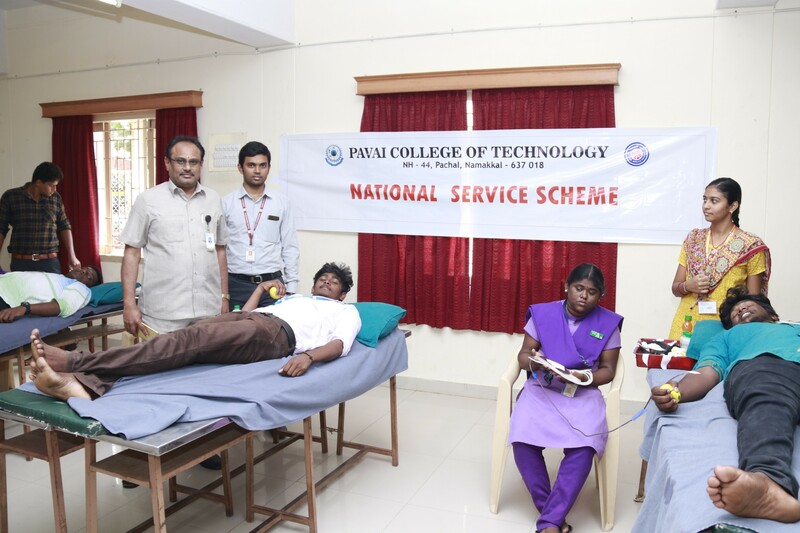 Paavai Educational Institutions, National Service Scheme, Government Hospitals, Salem and Namakkal jointly organized a Blood Donation Camp on 24.01.19 on the college premises. 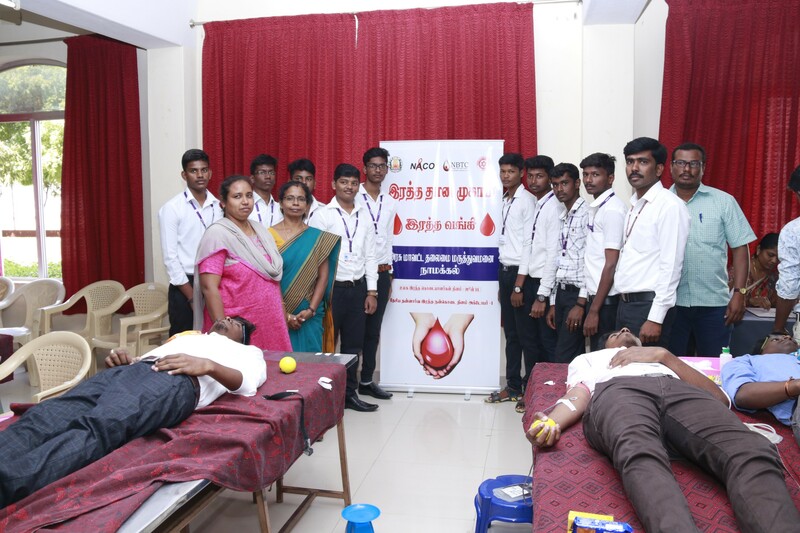 Dr.M.Raveendran, Blood Bank Officer, Government Hospital, Salem and Dr.Anbumalar, Blood Bank Officer, Government Hospital, Namakkal addressed the students to be aware of donating blood and explained to them about its benefits. The donors were made aware of the precautions which one should take while donating blood and the conditions under which, one should not donate blood. They also explained to the donors how quickly and effectively blood cells form in one’s body very fast after donation.In this camp, Dr.M.Devi, Principal, Paavai College Engineering, Dr.J.Sundararajan, Principal, Pavai College Technology, Dr.Sudha, Medical officer, Primary Health Center, Pudhuchattram, Health Inspectors, Mr.C.Rathnakumar, NSS Programme Officer, Paavai Engineering college, Mr.J.Saravanan, NSS Programme Officer, Paavai College of Engineering and S.Sathish, NSS Programme Officer, Pavai College of Technology were present and encouraged the students to donate blood. The students of Paavai Educational Institutions eagerly participated in this camp and donated blood. Around 250 students donated their blood.